TOUGH TIMES NEVER LAST, BUT TOUGH PEOPLE DO! By Robert H. Schuller. 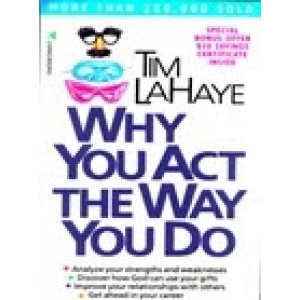 WHY YOU ACT THE WAY YOU DO By Tim LaHaye. THE ART OF DYNAMIC THINKING By Melvin Powers. EVERYONE COMMUNICATES FEW CONNECT By John Maxwell. Here’s How You Can Be Tough Too! What is the secret ingredient of tough people that enables them to succeed? Why do they survive the tough times when others are overcome by them? Why do they soar when others sink? According to Robert Schuller, the difference between those who win and those who don’t, is the application of the powerful concept of ‘Possibility Thinking', Winners dare to dream. They commit themselves to it. They dare to try, to take risk. They believe ‘if it’s going to be, its up to me’. They understand that failure is an event not a person. They never quit. In this international bestseller, Dr. Robert Schuller translates his philosophy of ‘Possibility Thinking’ into an action plan for success and demonstrates how to turn your dreams into success, setbacks into new beginnings, and successes into new possibilities. This book is more than 6 months on The New York Times Bestseller List. “Persuasive, inspiring and immensely popular….. Dr. Schuller is the obvious successor to Norman Vincent Peale. National Best Selling Author and International Speaker poses Questions Everyone Needs to ask. Why Ask Why contains seventy thought-provoking questions to find answers to building a better life. To go where you want to be, you have to ask the right questions. Does the path you're on capture your heart? How old is your attitude? Do you quit after victory? If you find an excuse, do you pick it up? Are you having fun yet? "Get caught dreaming", advises Mason. It's often a lack of imagination that keeps a person from his or her true potential. Learn the secrets all successful people know, the power of asking the right questions. Norman Vincent Peale, the man who taught America how to think positivitely, now offers a step-by-step, scientifically sound system for turning self-doubt into self-esteem, obstacles into opportunities, and thought into action. You will learn: 10 rules for setting and achieving goals; 4 creative factors that lead to successful outcomes; 6 positive thoughts to eliminate destructive habits, plus the single most important step toward becoming a positive person, and more. Advance you in your job and career. Enable you to deal with depression and anger. Improve your relationship with your spouse, or help you select your future husband or wife. Identify for you the specific spiritual gifts God has given you. Even if you’ve never read about personality and temperament, Why You Act the Way You Do will help you discover your unique potential in your job, your marriage, and your church. Bruce and Carol Britten answer the most asked questions of today's African youth. 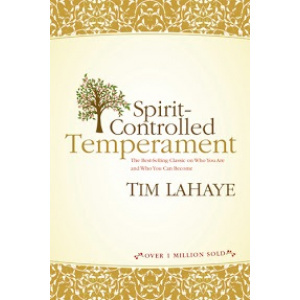 Young adults will learn how to avoid the pitfalls of today's world and resist temptation. Robert Kiyosaki teaches people to be millionaires that is why they call him the millionaire school teacher. The book, Rich Dad Poor Dad, does a fantastic job teaching people how to think about work and money. One theme that’s apparent in this book is that for an individual to be wealthy, he must aim to own the system or means of production, rather than work for another individual. The author stresses that there is obviously something confining about being an employee; it blocks the mind to other possibilities and it inhibits initiative. · Show parents why they can’t rely on the school system to teach their kids about money. · Teach you what to teach your kids about money for their future financial success. All in all it’s a definitive must read for everyone. WHAT DID PEOPLE SAID ABOUT THIS BOOK? Ø The main reason people struggle financially is because they have spent years in school but learned nothing about money. The result is that people learn to work for money but never learn to have money work for them . The Monk Who Sold His Ferrari is an interesting book, which is penned down by Robin Sharma. The book makes you delve deeper into yourself and think about your life from a different perspective. It educates you about how your daily habits can help you reach your dreams. The book sets you off on the fabled journey of Julian Mantle, who is a high-profile attorney with a buzzing schedule and a number of priorities that are centered on power, money and prestige. The story is related from one of Mantle's associates' perspectives who is in awe of Mantle's success and aspires to be him. But after Mantle suffers a massive heart attack, he takes a backseat from the game and disappears. After selling off all his possessions, he heads towards India in the search of a more meaningful existence. When he comes back to India, he comes back a changed man. Mantle is enlightened by the mythical Gurus who bestow upon him mysterious and practical advice. He gives this newfound knowledge to the narrator and his former associate. The book was an international bestseller all over the world. The message in the book might have been termed as a trifle cliche, but the way Robin Sharma has presented the story is extremely enlightening and interesting. It makes for a good read and throws up snippets about the oriental way of life. Robin Sharma is a post graduate in law and is the author of 11 books. He is the founder of Sharma Leadership International Inc., which is a consultancy that helps build leadership qualities in people in organizations. In this highly anticipated sequel to the international bestseller The Greatness Guide, Robin Sharma shares the remarkable insights and tools that have made him one of the world’s most trusted advisers on leadership and personal success. Compelling, engaging and truly unforgettable. Part manifesto for excellence, part business mastery manual and part inspirational companion, The Greatness Guide, Book 2, distills Robin Sharma’s latest thinking into 101 simple yet powerful lessons that will help you work brilliantly and live beautifully. Getting to world class begins with a single step. Start today. The Techniques For Achieving Self-Confidence and Success. To help you live a more meaningful life than just exist, Melvin Powers introduces you to techniques that not only develop your creativity but also foster personality changes. The techniques are simple; yet they are proved quite successful. In fact, acquaintance with theses techniques even for a short period of time will bring about dramatic change in your mental outlook. Life will now take on a new meaning and this in turn will permeate every phase of your existence. The ability to connect with others is a major determining factor in reaching your full potential. It’s no secret Connecting is a skill you can learn and apply in your personal, professional and family relationship – you can start from now! THINK and GROW RICH is the Granddaddy of All Motivational Books and the first book to address the question What Makes a Winner? Through the encouragement and support of Andrew Carnegie, Napoleon Hill studied the most successful men of industry of his time in order to ascertain what traits each possessed. His findings are contained within The Laws of Success and later refined in Think and Grow Rich. In THINK and GROW RICH, Napoleon Hill draws on stories of Andrew Carnegie, Thomas Edison, Henry Ford and other millionaires of his generation to illustrate his principles. THINK and GROW RICH is an all-time best-seller, having sold 15 million copies worldwide, and set the standard for motivational thinking. Parenting should come naturally, but unfortunately, we are bombarded with so much information and advice in today's media-dominated world, that very often we lose our way. There's no need to describe today's changed scenario. Today's parents have a difficult job to do, instillin values whilst beating back the many insidious evils that surround their children in this modern world. With a little awareness and effort we can give our children the best in life-a feeling of self-worth and a feeling that every obstacle is put in their paths only to be conquered. About the AuthorRobert Anthony Schuller is an American author, televangelist and television executive. He was formerly a minister on the Hour of Power weekly television program broadcast from the Crystal Cathedral in Orange County, California, where he was named senior pastor in 2006. An ordained minister, Schuller is the only son of Crystal Cathedral founders Robert H. Schuller and Arvella Schuller. In this practical and empowering new book, Dr. Robert H. Schuller, the host and master of possibilities" of the weekly telecast The Hour Of Power shows how to overcome the fear-and the groundless excuses-that keep us from success, fulfillment, and happiness. The 4 Cs of "success thinking"
The "miracle ingredients" of faith and hope and much more Your dreams, Dr. Schuller tells us, no matter how impossible, are the seeds of your success! Now you can learn how to nurture and cultivate your possibilities, uproot the negatives, and watch your dreams blossom into reality. Courage is something you never lose because courage is something you always choose. This is an anywhere and anytime read as it comprises of very short stories that create paradigm shifts. Houdini accepted the challenge when he was invited to unlock the door of an escape-proof jail on the British Isles as he was a better locksmith than a magician. The people left him to do his work. After preparing for several hours and getting totally exhausted he leaned against the door only to find it open. The door was never locked, it was only locked in Houdini's mind. The only place where something is not possible is in one's thinking. The only place where it is locked.